Strength training brought to you by grade 7/8 students! 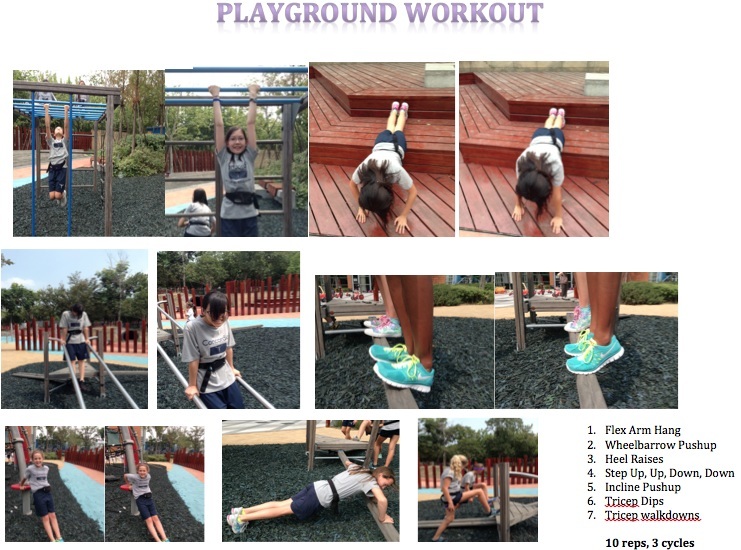 Here is a great whole-body circuit that can be done in less than 15 minutes on any neighborhood playground. Get ready to work your biceps, triceps, pecs, gastrocnemius, quads, glutes, and core muscles! The fastest time was 9min, 46 sec. Are you stronger/faster than a 7/8th grader?